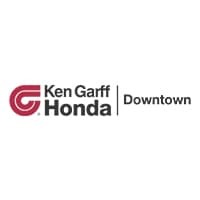 At Ken Garff Honda Downtown, we’ll buy your car–even if you don’t buy a car from us after. We make it easier than ever to appraise your current vehicle. With our no-obligation form below, you can get an offer in under 5 minutes. You’ll get a real offer and then have the option to either let us buy your car from you or use your offer to trade in your car. Follow the link below to get your cash offer today! Ken Garff Honda Downtown	40.7486751, -111.8883123.